One good reason why people love dogs is probably because of Labrador Retrievers. These dogs are so popular and exposure to them will instantly make you fall in love with this exceptionally intelligent and very large dogs. Labrador Retrievers were initially bred to be gun dogs. You shoot something, and they’ll go and get it for you. That requires a lot of intelligence, agility, strength and energy. And these dogs were bred specifically for that purpose, which makes him a perfect pet, provided you give him lots of exercise. These are medium to large dogs and may either come with Yellow, Chocolate or Black fur. There are also examples with reddish fur. Their fur is quite coarse and is highly water resistant which makes it perfect for them to jump in the water every now and then. Labrador Retrievers are excellent family dogs. They’re patient, very sociable and extremely tolerant towards pokes and pulls from young children. They do have a stubborn streak in them which you can train out at an early age. These dogs never seem to grow old. They behave like puppies well into their twilight years which can either be extremely adorable or bothersome depending on the type of owner you are and the dog you are looking for. This puppy like behaviour may be cute but just remember that these are big dogs and although they mean no harm, their size can potentially injure others although they don’t mean to. They do have a tendency to put your hand in their mouth which could lead to serious injury if it is not weeded out of their personality at a very young age. Labradors are prone to obesity. So if you’re going to feed your dog a lot of food, make sure you match his appetite with the same amount of exercise. Overweight labs are prone to hip dysplasia and you wouldn’t want that. Labs are also notorious for a lot of shedding, so brush their coats regularly and you’ll be able to minimize the amount of fur flying around in your house or stuck on every piece of furniture. 9 Labrador Retriever puppies for sale near you. When looking for Labrador Retriever puppies for sale, you will find this breed is very popular in the United States. The Labrador Retriever originated in Newfoundland where they worked with fishermen to pull in nets and catch fish that escaped from the nets. The Labrador Retriever was taken to England in the 1800s and crossbred with Setter, Spaniel, and other Retriever breeds to creating a hunting dog. The Labrador Retriever has been used as a hunting dog, search and rescue dog, used for narcotics detection with law enforcement, and a guide dog for the blind. There are two types of Labrador Retrievers, the English Labrador and the American Labrador. The English Labrador has a heavy, thick, and blocky body type while the American Labrador has a tall and lanky body type. The English Labrador puppies for sale tend to be more laid back and mature faster than the American Labrador. The Labrador Retriever was recognized by the American Kennel Club (AKC) in 1917 as part of the Sporting Group. The Labrador Retriever is a medium-sized, strong, athletic breed. 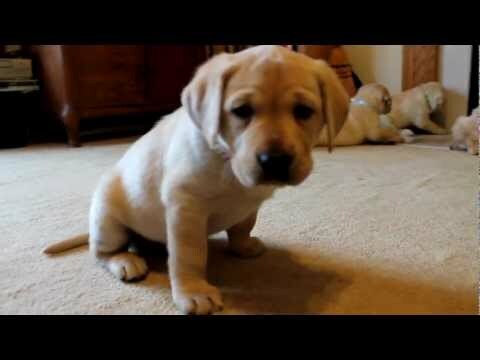 The Labrador Retriever puppies for sale average between 21 and 24 inches in height and weigh between 55and 75 pounds. The average life expectancy of this breed is about 10 to 12 years. The Labrador Retriever is prone to health problems such as a hip dysplasia, ear infections, and eye disorders. These puppies for sale will gain weight very easily and being overweight can cause additional health problems. The outer coat of the Labrador Retriever puppies for sale is short and dense, the undercoat is soft and weather-resistant. Regular brushing is required to remove loose hair. This coat of the Labrador Retriever is water-resistant. This breed is considered an average shedder. 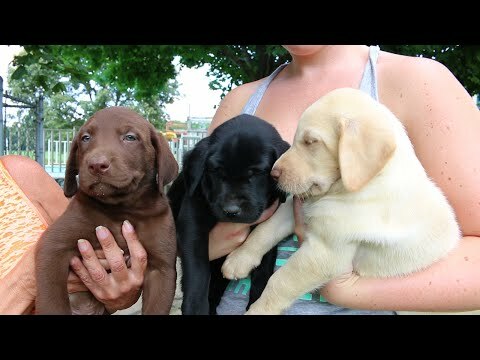 The coat colors of the Labrador Retriever are yellow, black, or chocolate. There may be a small white patch on the chest. When you see Labrador Retriever puppies for sale and make the decision to make one of the puppies for sale a member of your family, you will find this breed to be loyal, loving, good-natured, trustworthy, affectionate, patient, and make great family dogs. This breed is very people-oriented and thrives on human companionship and attention. The Labrador Retriever puppies for sale do well living in an apartment as long as they receive a sufficient amount of exercise. This breed is moderately active indoors. The Labrador Retriever loves to spend time playing outdoors and enjoys going for a swim whenever possible. The Labrador Retriever puppies for sale are very intelligent, good-natured, and eager to please and easy to train. This breed excels in obedience and field trial competitions. 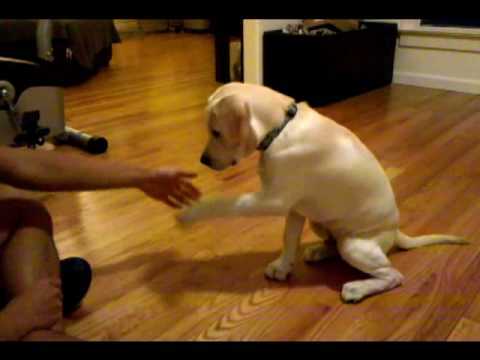 The Labrador Retriever is reliable and gets along very well with children. These puppies for sale get along well with other dogs. They tend to get along well with other house pets especially if they are raised with them. The Labrador Retriever is not aggressive but very alert to their surrounding which makes a very good watchdog, but is not known to be a natural guard dog. They have, however been known to protect their family, in extreme circumstances. These puppies for sale make great family dogs for a growing family, and a wonderful companion for children. 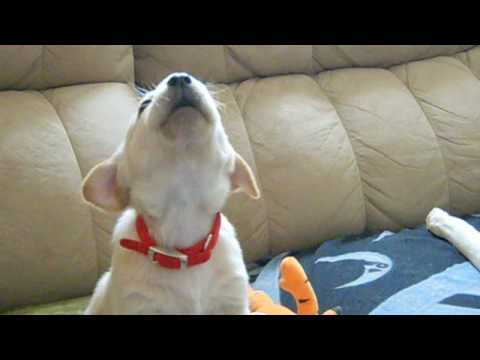 This is a nice way to make your life easier and save time searching for your Labrador Retriever dog’s puppy for sale. Once your email alert is put in place, all you have to do is check your emails regularly! You can create several email alerts, should you wish to do so.